I am a protestor. This is the first in a three part series outlining my thinking and position as it relates to racial injustice in our society and lamenting racial divisions within the Church. In observance of Martin Luther King Jr.’s birthday last Thursday (1/15) and this weekend’s observance of the Holiday set apart in honor of his legacy, Part One highlights Dr. King’s own words from a half century ago that still ring loudly in their call for freedom today. I wrote these words for everyone who struggles in their youth, who won’t accept deception instead of what is truth. It seems we lose the game before we even start to play. Who made these rules? We’re so confused, easily led astray. Sometimes it seems, we’ll touch that dream, but things come slow or not at all. And the ones on top, won’t make it stop, So convinced that they might fall. The Reverend continues, expanding on his long held deep concerns about the gap between superfluous wealth and abject poverty. Dr. King notes, “Capitalism is always in danger of inspiring men to be more concerned about making a living than making a life.” These words would be exponentially prophetic, especially highlighted by the needless death of Eric Garner over sales of loose cigarettes in Staten Island, New York on July 17, 2014 in which we became aware that the situation had escalated to one in which capitalism is now more concerned about protecting a living than taking a life. 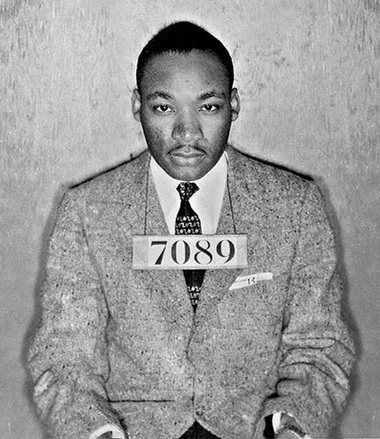 Four and a half years later, on April 16, 1963, amidst an eight-day incarceration in Birmingham, Alabama for engaging in direct nonviolent protest, Martin Luther King Jr. pens an eloquent defense of work being done to advance Civil Rights and a stinging critique of the critical clergy who have failed to support the movement. Dr. King’s appeal here lays the moral and ethical stare decisis for those listening to the Sprit’s prophetic voice to become involved in addressing injustice where they are able. Is it possible that this is what theology looks like? For Christ followers, especially those like me who enjoy asymmetrical power and unmerited privilege in our culture based on gender and race inequality, the challenge is to look to Jesus’ example of a King voluntarily stepping down from His throne and to ask myself if I am willing to pay the same severe price of such a costly interruption. “One has a moral responsibility to disobey unjust laws.” – Martin Luther King Jr.
“When I was suddenly catapulted into the leadership of the bus protest in Montgomery, Alabama, a few years ago, I felt we would be supported by the white church. I felt that the white ministers, priests and rabbis of the South would be among our strongest allies. Instead, some have been outright opponents, refusing to understand the freedom movement and misrepresenting its leaders; all too many others have been more cautious than courageous and have remained silent behind the anesthetizing security of stained glass windows. 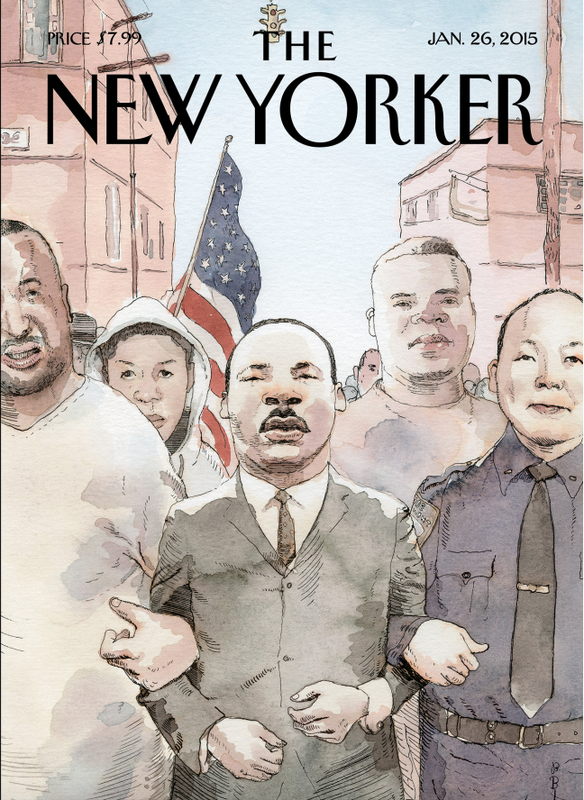 The temptation is to say that things have changed; that Dr. King’s “Dream” was eventually realized and that a post-racial society has been achieved over the course of the last half-century. That simple academic knowledge of the Bible is we need to make things right. This would make me feel better. Allow me to discount the narratives that do not fit my worldview. But if we are willing to listen to our brothers and sisters of color, to hear the minority report, we find an entirely different story altogether. Is it possible some of us just discounted the above statement because it came from a comedian and used that as an excuse not to hear the experiences and wisdom that could be gleaned from hearing a black man out? Regardless of what you have come to believe about the character of Michael Brown following the tragic untimely end to his young life, are we willing to hear the anger and distrust of the Ferguson community? Even if it costs us something? Do we have ears to hear Ms. Torregrossa? If so, we must acknowledge that we have more work to do. Work that starts with listening, not to why all lives matter, but to how and why for so long the lives of black people have been placed at such a grave discount.